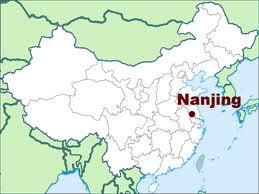 Japan attacked the Chinese city of Nanking (Nanjing) during December of 1937. This Japanese illustration, by an unknown artist, depicts a scene as "Invincible Japanese Naval Planes Attack Nanking." Are there firsthand accounts of Japan’s invasion of China? F. Tillman, a New York Times reporter, witnessed events in Nanjing (then called Nanking). His report, "All Captives Slain," was published in the newspaper on December 18, 1937 (pages 1 and 10). The killing of civilians was widespread. Foreigners who traveled widely through the city Wednesday found civilian dead on every street. Some of the victims were aged men, women and children. Policemen and firemen were special objects of attack. Many victims were bayoneted and some of the wounds were barbarously cruel. Any person who ran because of fear or excitement was likely to be killed on the spot as was any one caught by roving patrols in streets or alleys after dark. Many slayings were witnessed by foreigners. The Japanese appear to want the horrors to remain as long as possible, to impress on the Chinese the terrible results of resisting Japan. What did Japanese officials say about these events? Koki Hirota (while serving as Japan’s foreign minister) sent a cable to the Japanese Embassy in Washington (on 17 January 1938) regarding a report of casualties in Nanjing. Most scholars believe that Hirota - later sentenced to death at the Japanese War Crimes trial in Manilla - was forwarding information (which Hirota himself disbelieved) from Manchester Guardian reporter Harold Timperley (who may have been elsewhere at the time of the Nanjing killings). (Not) less than three hundred thousand Chinese slaughtered. Actual numbers of people killed in the Nanjing vicinity are still hotly (and bitterly) debated. Despite conflicting evidence on the actual number of casualties, primary sources (including survivor interviews and observer diaries) reveal that atrocities occurred. Bos, Carole "DEATH IN CHINA" AwesomeStories.com. Oct 01, 2006. Apr 26, 2019.